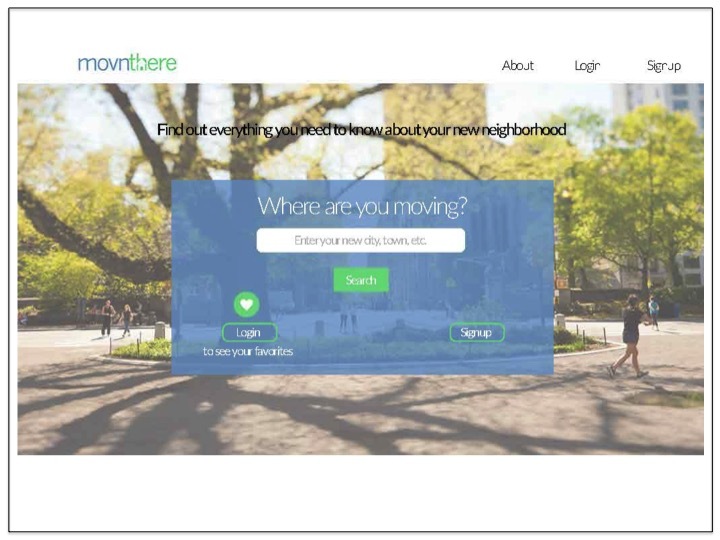 Talented developer Holly Moody approached me with her idea of a website: a one-stop shop for users who are moving to discover everything they want to know about their new community. Rather than having to look on a variety of websites, users could now easily view census data, transportation information, local points of interest (museums, libraries, parks, grocery stores, etc. 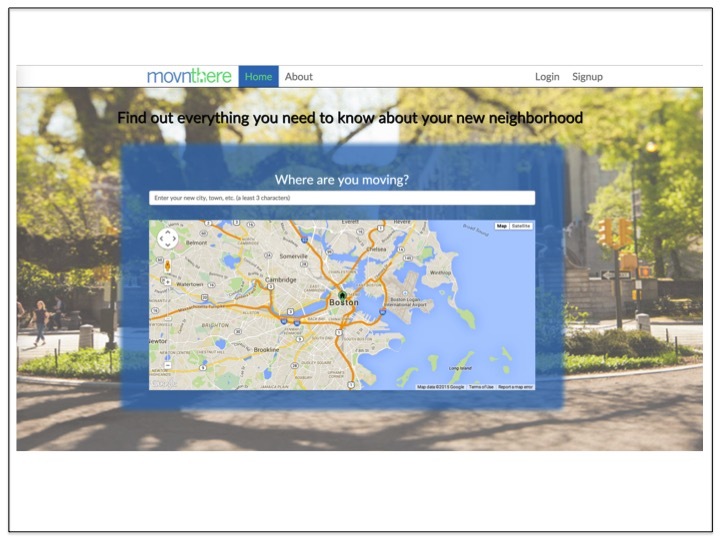 ), and get a feel for the town (walkability score, cost of living, etc.) Having recently moved myself, I thought this was a brilliant idea and jumped on the chance to help Holly with the UX/UI design. To start off, she asked me to help create layouts for the homepage, search results page, and login. I started out by researching some similar real estate websites such as Zillow, Realtor, and Trulia. I thought about someone would want to know if they were being relocated or moving, and from there I put together sketches and wireframes of all the possible features and functions that could be included on the site. While Holly liked the idea of these features, her main goal was to present an MVP to her classmates the following week. 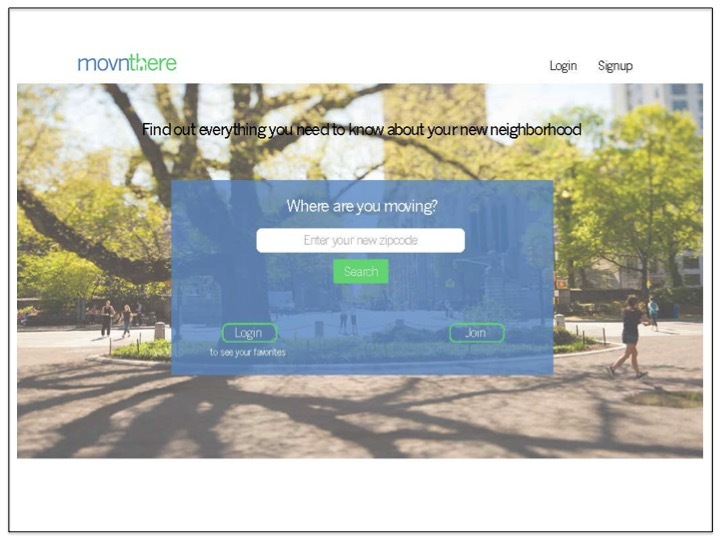 Therefore, these were bucketed into "long term ideas", but for the time allotted it made more sense to stick to one basic function: allowing the user to search for a neighborhood or address and show the results on a map. The idea was to keep the feel light, simple, inviting, and manageable. Below are the design iterations for the homepage. Initially it was a one simple question with a search bar, and then we decided to embed the map and search results as well. We also wanted to include the ability to add "favorites" if a user was signed into their account.